The high level of compliance in maintaining production cuts witnessed by OPEC and Russia since last January have been the main drivers behind the strong recovery in the price of oil, Saxo Bank’s analyst and Head of Commodity Strategy Ole Hansen said in an interview with Azernews. Commenting on the decision of Saudi Arabia to cut production, he noted that monthly changes like the one announced by this country is of a technical character and should have limited impact on oil prices. Hansen stressed that OPEC and Russia probably have to maintain the cuts well into 2019 with the IEA expecting non-OPEC supply growth being enough to meet the rise in global demand until 2020. “I don’t think OPEC can or should do more at this stage where the risk is more of the market overshooting to the upside. Also quality matters, and most of the production growth currently seen in U.S. shale is of a quality so light that refineries struggle to use it,” he said. In our outlook for the first quarter, we highlighted the risk that the oil market would potentially experience a correction because an oil price above 70$, in our belief, was unsustainable at this stage in the global oil market, according to the Saxo Bank’s expert. “We did see the sell-off during January and early February. Looking back, we can see most of the correction was triggered and driven by risk adversity caused by the weaker stocks and rising bond yields. Not least due to the need for traders to reduce what had become a record and eventually unsustainable bet on rising prices. However, at this stage, the longer term bullish sentiment has been maintained with the recent 10 percent correction from a technical perspective being no more than a weak correction within the existing uptrend,” he added speaking of prices. This was highlighted by speculators response to the said 10 percent correction, according to Hansen. “During the week of heavy selling to February 13, the net-long was only reduced by 5 percent with no fresh short selling hitting the market. So, it does indicate the market is maintaining a bullish outlook. The problem with that is if we see continued weakness in stock markets, or if we see additional rapid increase in non-OPEC supply, we could see the market come under further pressure. But for now, if we look at Brent crude we’re settling into a 61-70 range. In my belief, 61 is very key because it’s 38.2 percent retracement of the rally we had all the way from June up to January, and if you look at WTI the similar level there is 58. So, at this stage, I believe we’re settling into a range, but these are the two key levels to look out for to the downside,” he said. In my opinion, the risk is a bit skewed to the downside, in the short term, because of the elevated position that we still have, the expert noted. “But also the fact that we have entered into the time of year when inventories in U.S. and elsewhere tend to rise while U.S. production growth remains firm. So as long as that is maintained, that could potentially have a negative impact on oil prices,” he said. Overall, the market is fundamentally in a much better place than it was this time last year, it also means that there are buyers lurking in the wings, should the need to reduce exposure further take the price lower below the mentioned levels of support, according to the expert. 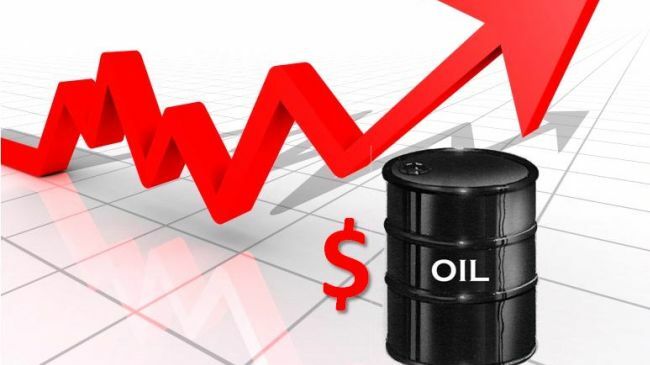 World oil prices are gradually declining on Tuesday, February 27, after two weeks of consecutive growth on the background of weakening fears of overproduction in the U.S. and another failure of supplies from Libya. Price growth was also supported by comments from Saudi Arabia that it would continue to curb exports in line with the OPEC-led effort to cut global supplies. On London ICE (Intercontinental Exchange Futures) cost of the Brent crude oil decreased $0.06 to stand at $67.44. The price of the US Light crude oil at the NYMEX (New York Mercantile Exchange) went down by $0.10 to trade at $63.81. At the same time, the price of a barrel of Azeri Light crude oil rose $0.77 to stand at $68.87. US energy companies last week added one oil rig, the fifth weekly increase in a row, bringing the total count up to 799, the highest level since April 2015, Baker Hughes energy services firm said on Friday. Hedge funds and money managers upped their bullish wagers on U.S. crude oil for the first time in four weeks, data showed on Friday. A powerful 7.5-magnitude earthquake struck Papua New Guinea’s Southern Highlands province early on Monday, disrupting communications and oil and gas operations. Meanwhile, Libya’s National Oil Corp said on Saturday it had declared force majeure on the 70,000 bpd El Feel oilfield after a protest by guards closed the field.